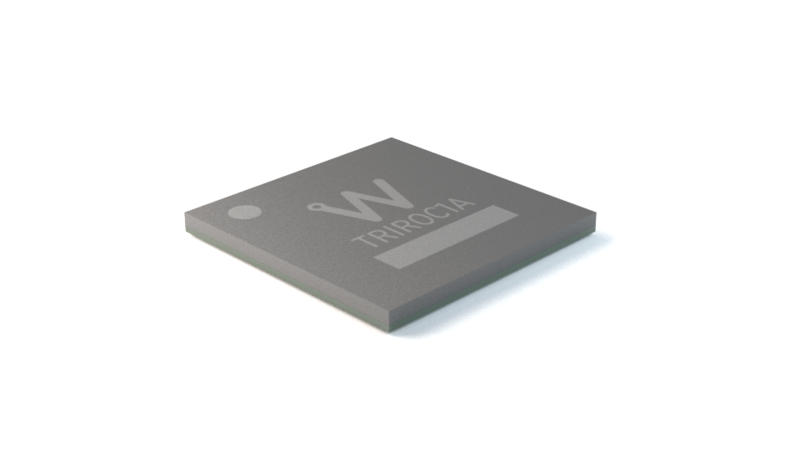 Triroc 1A is a 64-channel front-end ASIC designed to readout silicon photomultipliers (SiPM) with both polarities for particle time-of-flight measurement applications. Triroc 1A combines a very fast and low-jitter trigger with accurate charge and time measurements. 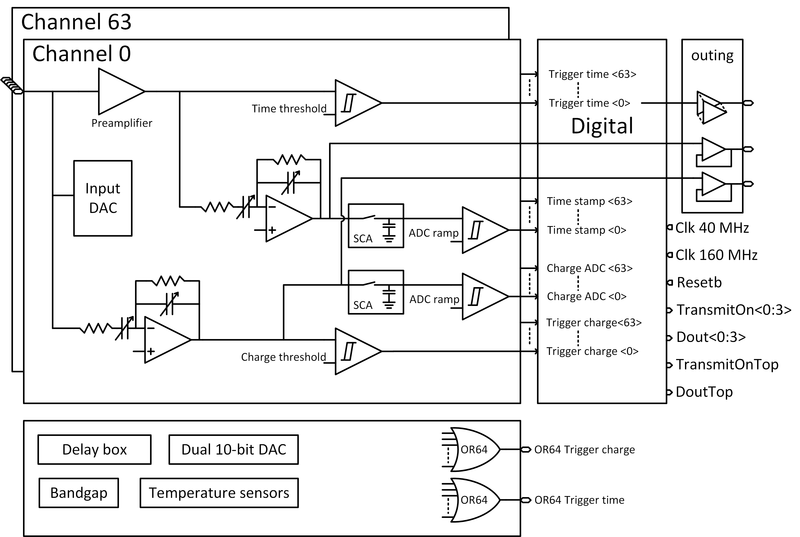 Energy and time are digitized internally with a 10-bit ADC and 30ps-bin TDC. The power consumption is 10 mW/channel, excluding buffers used to output the signals. The main application of Triroc 1A is PET time-of-flight but it can also be used for any application that requires both accurate time resolution and precise energy measurement. Triroc is available in BGA packaging (12x12mm, 353 balls).